heart wrote: This American couple say they reached completion of the path of Tögal! Anyone know who their teacher is? One of the things that annoy me to no end it when people say "oh but who was Buddha's teacher?" or something like that. For millenia it has been practiced that students learned from teachers and now the almighty John Doe's can do without? Even if Buddha and Garab Dorje had had no teachers, it's incredibly arrogant to think we're their equals. Though perhaps years back I might not have thought so either, I now see it's generally pretty stupid to think otherwise. 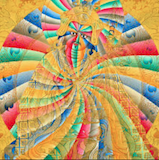 In Dzogchen, the visions of togal are said to arise from the spontaneous presence aspect of rigpa, so they perfectly fit with what Thrangu Rinpoche has said. The togal visions are perfectly beyond concepts or any kind of elaboration. That said, I'm neither defending nor denouncing this couple. I suspend judgment. It is obvious but perhaps not in this article? Moreover, if you do so called retreats in complete darkness many years you will have many "visions" of course. They can be even more realistic than of ordinary life, more inherent, solid, indepentend, permament with the nature of their own... There are stories of people who have many such visions, dramatic experiences, when for example were involuntary closed many days in dark places, for example cave tourists. Sunyata is the basic whatever you teach or practise in Buddhism. The visions that gradually unfold in togal ARE sunyata. They are rigpa. That came across just fine on their website, IMO. As Mutsuk has said above, togal does not necessarily mean dark retreat, and I don't think this couple ever mentioned dark retreat. In any case, what unfolds from ordinary consciousness during sensory deprivation has absolutely nothing at all to do with togal. Again, as you say, sunyata is the basics of what's taught in Buddhism... This is quite true whether we're at the Sutra level or the Dzogchen level. In Sutra, however, we're used to alternating in our minds between apprehending form (relative) and then analyzing it to gain insight into its emptiness (absolute). In doing so, we mentally "separate" the two truths out of necessity. We can look at the relative one moment, and we can analyze it to gain insight into its emptiness or absolute nature in another moment, but we're never looking at both at the same time. We of course have conviction that in reality they are inseparable, but in our practice we have no choice but to look at them one at a time. The view of the Great Perfection, however, is the inseparable two truths... At that level of practice there is no way to separate primordial purity, i.e. emptiness, from spontaneous presence, i.e. appearance, because it is not a practice based on the mental consciousness but rather on primordial wisdom. One doesn't have to mentally or verbally impute emptiness on primordial wisdom, or isolate emptiness from it and speak exclusively about emptiness. At that level, emptiness couldn't be more obvious. So when there's talk about spontaneous presence, such as the experience of perceiving one's own nature with greater and greater purity during the "visions" of togal, it is very very well known at that point - especially experientially - that emptiness is inherent to all that. As I understand there is realization of sunyata if really spontaneous presence (lhundrub). But what if people want to have such visions, is there lhundrub then? Hope we are not talking of having "experience". This is not some kind of "spiritual" TV but the most secret heart practice of Tibetan Buddhism. Last edited by Mariusz on Tue Feb 22, 2011 9:47 am, edited 1 time in total. I believe they are/were Chagdud Rinpoche's students or somehow otherwise connected with Chagdud Gompa. pemachophel wrote: I believe they are/were Chagdud Rinpoche's students or somehow otherwise connected with Chagdud Gompa. Thanks Pema, I guessed it was him or Gyatrul Rinpoche. Pero wrote: , it's incredibly arrogant to think we're their equals. Though perhaps years back I might not have thought so either, I now see it's generally pretty stupid to think otherwise. Doesn't the teaching show us impartiality? Is reality not free of gradation? What sees less perfection? Is it wrong to see the nature of people and not a conceptual clasification? Should we not respect the precious teacher Gautama, all the other compassionate wise ones by trying to understand the teaching of non discriminatory essential nature? Mariusz wrote: As I understand there is realization of sunyata if really spontaneous presence (lhundrub). But what if people want to have such visions, is there lhundrub then? Hope we are not talking of having "experience". This is not some kind of "spiritual" TV but the most secret heart practice of Tibetan Buddhism. Well, lhundrub is always present because it is our nature, but without following the key points of practice it won't be realized. But your question speaks to the oft-repeated need of practicing under the guidance of a qualified master. The traps you mention are exactly why one must not proceed to this stage of practice until one's lama's advised one that one is ready, even if one has already received the wangs, lung, and tri for a complete Dzogchen guidance manual, as sometimes happens nowadays. But, there's no way for us to tell if this couple proceeded properly and are sharing authentic realizations or are parroting what they've heard or read. I admit it's suspect and highly unorthodox that they've claimed to have completed the 4th vision, that they supposedly sketched the visions as they unfolded, and that they've published the sketches. On the other hand, aside from 3 books of sketches that they seem to feel will benefit others somehow, they don't appear to be marketing all sorts of products or trying to establish guru-disciple relationships ot creating a personality cult like we normally see with the fake guru types. They seem to be speaking very highly of the sacredness of spontaneous presence rather than gushing about themselves (aside from that one casually inserted line about completing togal, of course). I have to admit it is highly unorthodox to make such a claim or to share depictions of the visions publicly, but I can't purport to know that a truly realized mind would never do such a thing out of enlightened intent. Maybe they're the real deal... Maybe they were good practitioners at a very high level who became attached to the visions and went astray... Maybe they're 100% fake. I can't say. Last edited by Pema Rigdzin on Wed Feb 23, 2011 9:42 am, edited 1 time in total. This is interesting because a vajra brother of mine who's principally associated with Chagdud Gompa, and especially Lama Drimed Norbu, once told me a story about some lay yogis & yoginis who were legit togal practitioners living somewhere in rural northern CA on retreat for yrs. I don't know where he got the info, so it's little more than a rumor to me, but he said they were indeed progressing through the visions, under the guidance of an authentic lama (maybe Chagdud Rinpoche himself? ), but at a pretty advanced stage they felt they had reached the culmination of the path, while the lama felt they still had a bit further to go and insisted they keep practicing. Supposedly they were adamant that they'd gone the distance and kindly parted ways with the lama. I don't know what was supposed to have happened after that. Now, I don't know how true this rumor/"legend" is, and I have no idea if it is at all related to this couple, but it's interesting nonetheless to consider that there may have been/may be people right in my back yard reaching this level of realization. Yes. I guess this is even more important than basic Sunyata whatever buddhist topics, the lineage, especially in Dzogchen. Why nothing in articles about their nyinthik lineage if they really have it? When someone wants the very high teachings like Dzogchen, should check carefully the lineage, ask other teachers of Dzogchen and so on. Pema Rigdzin wrote: [ Maybe they were good practitioners at a very high level who became attached to the visions and went astray... Maybe they're 100% fake. I can't say. In teaching all use the offered languages in order to express, all parroting. 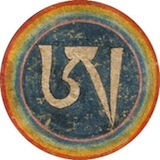 A master said: "a wise see teaching in all and everything by the nonduality as so no any attachment can survive". For me it is easier to have many high master diploms, than to recognize nondual natural simplicity. Your concern is for correct understanding of all. Thank you for your compassion. Thank you Pema Rigdzin, it might be the guys and this story could explain why they don't mention their teacher and lineage. However as for completion of the path of Tögal, for me that would be the rainbow body. I am very surprised of their claim to say the least. I read somewhere else about Tibetan yogis that claimed the "completed the path of Tögal" in a year or so but I just can't wrap my mind around this claim from either westerners or Tibetans. heart wrote: I read somewhere else about Tibetan yogis that claimed the "completed the path of Tögal" in a year or so but I just can't wrap my mind around this claim from either westerners or Tibetans. Reflection this night; whether those people have understanding beyond concepts or not is not to find out by our concepts or figurative talks. To throw sand of own created sand castles in others face is not so beneficial than to recognize own sand castles. We 'reach' by their books only inspiration depend on own mind and own mind only. Those people havent' reach nothing for sure, they are Dzogchen. muni wrote: Reflection this night; whether those people have understanding beyond concepts or not is not to find out by our concepts or figurative talks. Excuse me Muni, are you going to be realist or nihilist? Without your delusion you can not even read their articles. It is not possible to experience other concepts of course. Nevertheless we should play until find the genuine Dzogchen. Investigation is certainty used in Dzogchen, check for example the Rushen if you have the instructions. Buddhism is the science of Mind. Dzogchen teaching is master-student, furthermore we can learn from all offered play. not sure to understand for granted, but thank you and good luck Mariusz. to expect someone or something to be always available to serve in some way without thanks or recognition; to value someone or something too lightly.